Ashampoo UnInstaller 2017 removes software completely without any leftover files, even in the case of nested setups. The program meticulously logs new installations to record any modifications to your system. This allows users to uninstall unwanted programs that were installed during normal installations without their knowing. These logs even allow users to uninstall several applications in a row. The UnInstaller community provides program ratings that help users assess whether they installation of a new program is potentially dangerous. Another useful feature is snapshots which can be used to compare the state of a system at different points in time. Every system and file modification will be listed including registry changes to help users get a detailed picture of what has happened on their machine, e.g. in the event of malware attacks. Despite its powerful feature set, UnInstaller 2017 is light on system resources and does not slow down your machine. Additional tools around system maintenance and cleaning help keep PCs in shape. When it comes to removing file clutter, cleaning the Registry database or disabling unneeded Windows services, UnInstaller 2017 will show its true potential. It still leaves a lot of traces. UI is not satisfying and expect with ads. It seems you can’t compare it with revo pro. We’ve all by now come to terms with the fact that the default Windows OS uninstaller is not so good at wiping your computer clean once you remove old files. Third party developers have risen to the occasion providing adept uninstallers that actually clean up your PC after each installation. The Ashampoo Uninstaller 2017 is one such piece. The name Ashampoo in itself is enough a CV to convince me that the software will actually live to its word. UnInstaller 2017 quickly proved to be not any different. The software not only focuses on getting the job of monitored installation and uninstallation done but also lets you monitor any changes in a system hence keeping you on top of things regardless of whether you are the one using the PC on a 24/7 basis or not. 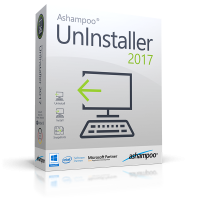 Ashampoo UnInstaller 2017 will give you an overview of the software installed in your system and give you the power to uninstall or modify your system on demand. Monitored uninstall and install keeps track of whatever changes happen in your system with each application installation meaning that you will be able to remove all files related to software with each uninstallation. This makes Ashampoo UnInstaller a perfect tool for dealing with nested installations or those notorious installation that add toolbars and settings to your browsers. The snapshot menu lets you capture the system state and configuration at any specific time. Comparing two snapshots will help you identify any changes that happened while you are away. Combine this with the log files that keep track of all the application changes in the system and you have the perfect tool for monitoring remote systems or computers in a work setting where you are in charge of IT support and maintenance. 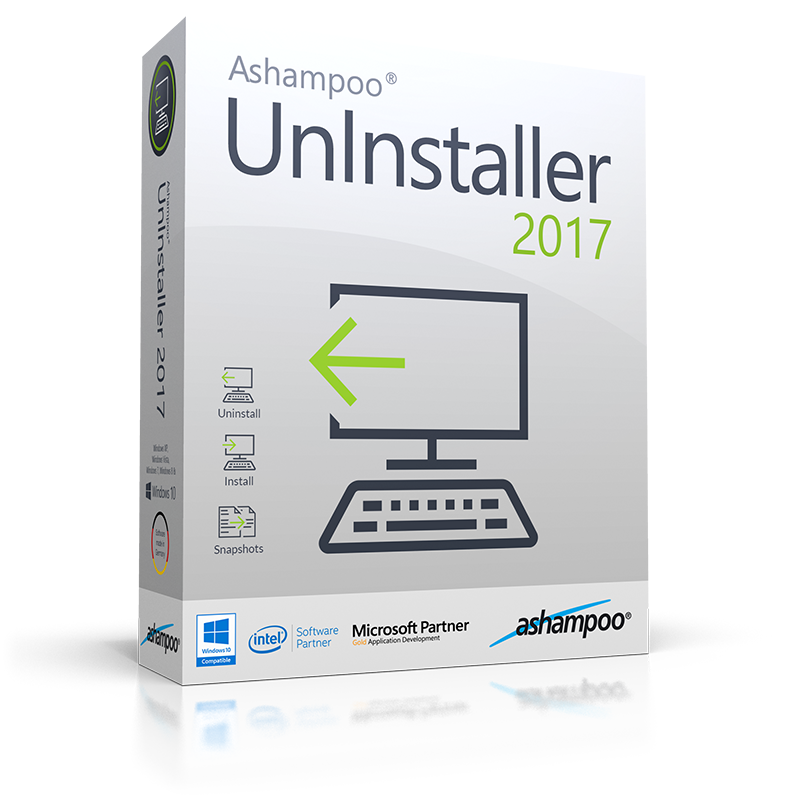 In my opinion, the Ashampoo UnInstaller 2017 would be perfect for a techie doing PC maintenance and management. With this in mind, you will come to appreciate the nimble tools tab that gives you common useful utilities like a drive cleaner, registry optimizer, defragment tool, file wiper and undeleter. These will come in handy when new tasks crop up as you try monitor the different app changes in the PC. I tend to get personal and laid back when software encourages me to share with the community. A second look at the UnInstaller 2017 community tells me that the idea behind the community is to rate apps and let you choose what to install or uninstall if you aren’t really sure. This could save you the pain of reading reviews before choosing want to keep and what to trash. While the uninstaller is quite efficient in rooting out any software that was installed after when I first installed it, I noticed that it struggles a bit with nested software it found already installed. This could be expected since the developer defines that it gets all the associated files better by tracking where they went to during the installation procedure. The Ashampoo UnInstaller 2017 is a wieldy tool that will keep you steps ahead of anyone using the default Windows Uninstall tool. You can get better insight into changes happening on a computer used by someone different or handled by multiple users. This coupled with the fact that it has a password protection makes it a great system admin tool. At one point or another, most computer users have gone through the problem of uninstalling programs only for leftover files to be a bother during re-installation. A good number of programs already exist that would let you uninstall other programs completely. However, this time round, I came across Ashampoo UnInstaller 2017 and took it through the paces to see how it performs. Here is my take on the software. Unlike some of its Ashampoo software counterparts, this package’s size is reasonably small. I was done with its installation and registration within 3 minutes. On launching it, I was right away impressed by its well color-balanced interface that also seemed intuitive. Further, the program’s options are easy to understand and has a small learning curve. You will have an easy time using Ashampoo UnInstaller 2017. One of the thing that contributes to the software’s ease of use is its nicely arranged options and features. As you navigate from the Overview, Installations, Log Files, Snapshots, to the Tools Menus, you will know right away what to do with each. For instance, uninstalling an application only needs a few clicks and selections to get the job done. As you are using Ashampoo UnInstaller 2017, you will its approach to showing numbers is quite useful. A good example is in the Overview option where it gives you a quick summary of things like the number of installed applications, logs created, and installations or uninstallations monitored. In addition, you will interact with numbers each time you uninstall a software. Some of those numbers will tell you about the number of deleted files, successful uninstallations, as well as remaining objects, if any. While in the Installations option, you will access a couple of useful management options. One of the options is the Generate report. With this option, one can easily generate a report of the installed applications with their version and size details. The other option is the Groups option. You can take advantage of this option if you want to group installed programs. This option really helped me keep an eye on my apps although it requires manual additions. Even after exploring the options mentioned above, I found out that the Tools option was even more resourceful. To start with, the options has a size number of other options like System Maintenance, Administration, File Tools, and Windows Tools. Of all these options, I found the System Maintenance to be of much help to me thanks to its sub-options like Drive Cleaner, Registry Optimizer, and Defrag 3. After uninstalling a program using Ashampoo UnInstaller 2017, you will notice some bit of slug as it tries to reload the list of the remaining apps. It would have been smoother if the loading was instant to prevent any form of waiting time regardless of how short it is. After uninstalling a couple of programs from my machine, I got popup notifications from my Premium IObit Uninstaller that there were still some undelete files of the uninstalled programs. As such, that may be a great inconvenience if you really wanted to completely get rid of a specific program from your machine and you do not have IObit Uninstaller. All in all, Ashampoo UnInstaller 2017 works well in implementing its functionalities. You will have little to complain about while using this software. It would be a worthy addition to your list of installed programs.